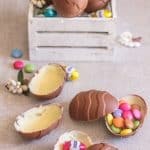 Double Chocolate Easter Eggs, these homemade surprise inside Easter Eggs are made with milk chocolate and white chocolate. The Perfect Easter treat! With Easter just around the corner it’s almost time to be whipping up some delicious chocolate desserts. 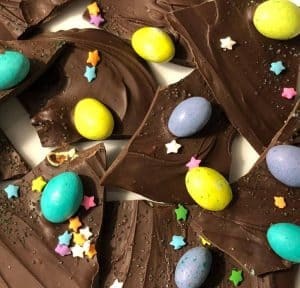 And if you have kids in the house (big or little) these surprise inside Homemade Double Chocolate Easter Eggs are the way to go! 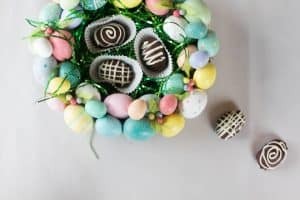 I love making homemade chocolates, and I decided Chocolate Eggs were are on my to do list this Easter Season. it gives the chocolate that crisp, wonderful snap when you bite into it! 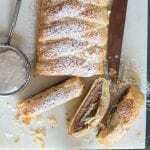 More Chocolate Recipes you may enjoy! Using chopped chocolate (use a good quality chocolate) reserve a quarter of the amount of chocolate in a separate bowl to add later. Use a silicone spatula and a good thermometer, and that is all you need. Bring the water in your saucepan to a simmer. Continuously stir the chocolate until it is melted smoothly. Then add the reserved chocolate to the melted chocolate this will help bring down the temperature of the chocolate. If need be you can place your bowl of chocolate into another bowl of cool water to help speed up this process. And that is how you make tempered chocolate! 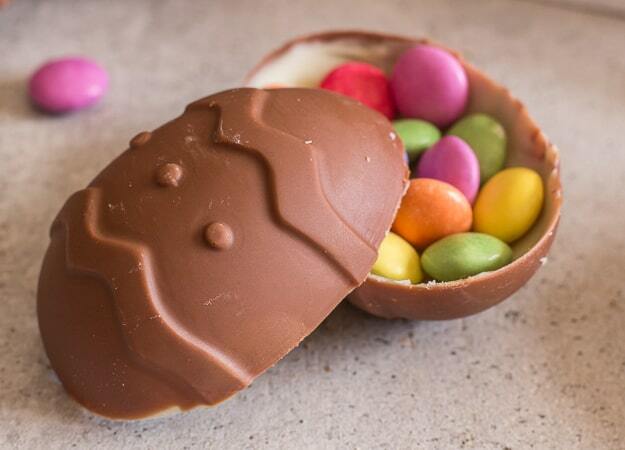 You can now make these Double Chocolate Easter Eggs. And don’t forget to fill them with something special. Enjoy! 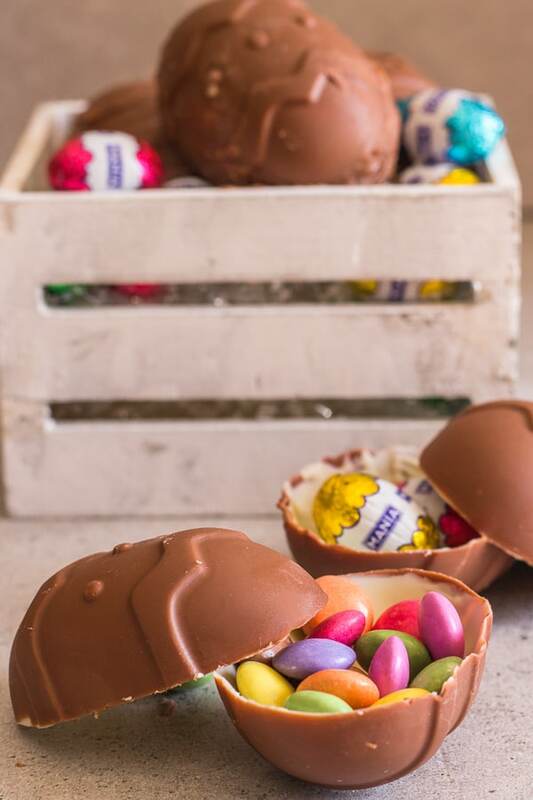 Just what you need to make these Homemade Double Chocolate Easter Eggs. 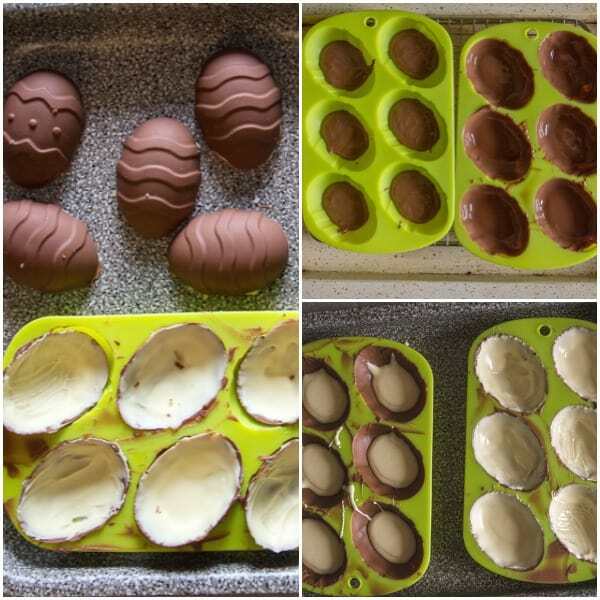 Easter Eggs Chocolate Candy Silicone Mold – these work perfectly, the chocolate eggs just pop right out. 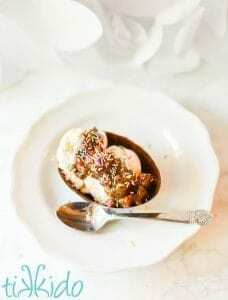 Instant Read Candy Thermometer – just what you need to read the temperature of the chocolate. Double Boiler – my next purchase! You can use either a double boiler or place a bowl over a pot of simmering water (make sure the bowl does not touch the water). Using chopped chocolate (use a good quality chocolate) reserve a quarter of the amount of chocolate in a separate bowl to add later. Use a silicone spatula and a good thermometer, and that is all you need. Bring the water in your saucepan to a simmer. Continuously stir the chocolate until it is melted smoothly. 118°F (48°C) for Dark Chocolate. 112°F (45°C) for Milk Chocolate. Remove the bowl of chocolate from the saucepan and carefully wipe the steam from bottom of the bowl. Do not let even one drop of water fall into the chocolate because it will cause the chocolate to seize and then your chocolate is completely ruined! So please be careful! Now the chocolate is ready to use, pour the chocolate into the egg molds, swirl or use a pastry brush to cover the surface. 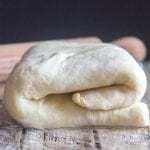 Let dry and harden in a cool spot, then coat the same way with the white chocolate, let sit until completely dry. 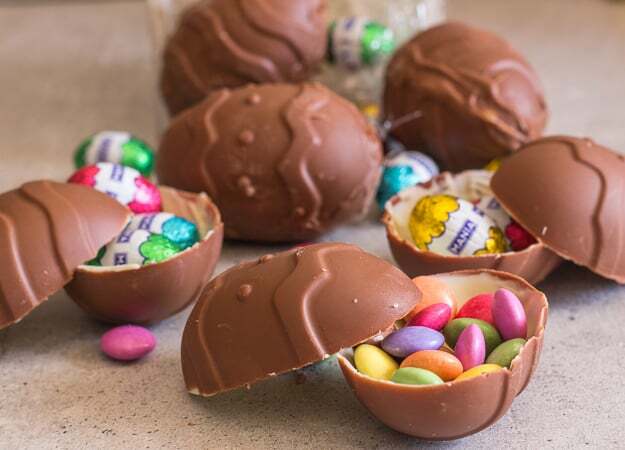 Fill eggs with desired treats, smarties, foil eggs etc. Seal shut with a little melted chocolate. Enjoy. Hi Lois, thanks so much for featuring me, and yes I just visited again. Have a great week. 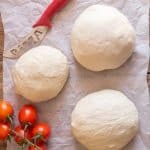 What fun these were to make with my kids……simple…….scrumpious! Everyone was so impressed and they disappeared so fast. Hi Mandy, so glad they were enjoyed. My big kids loved them too. Have a great day. Ooo! I loved learning about tempering chocolate and why we should do it! Those eggs are delightful. 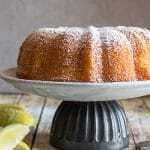 Looks so delicious and fun! Thanks for sharing! I’ve never tried tempering chocolate before, but I really need to, because using real, good quality chocolate is so wonderful! 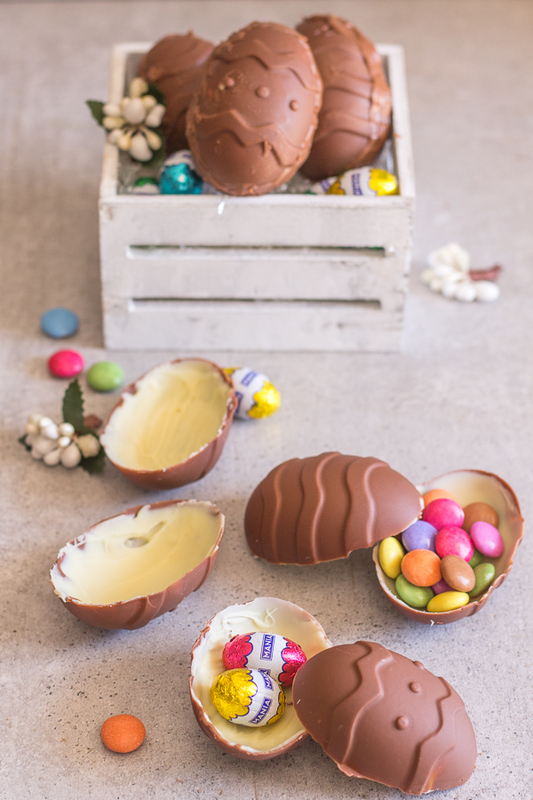 I love this tutorial, and will be making my girls their own homemade kinder eggs, since we can’t buy them here in the states. Roll eyes.